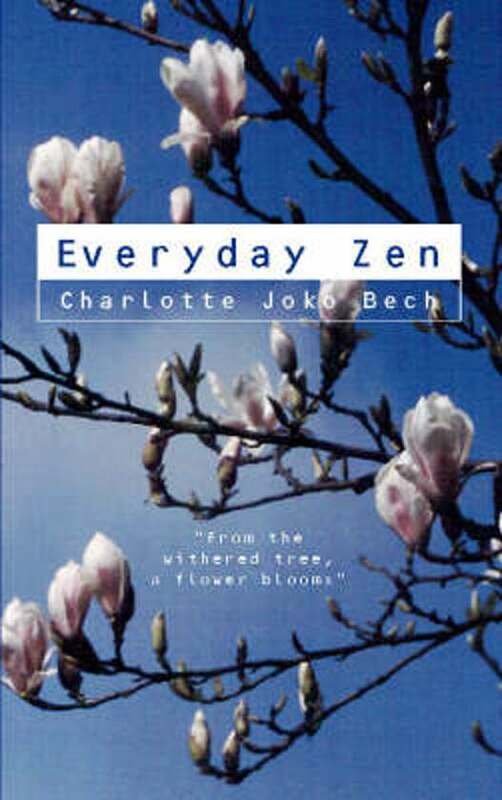 Charlotte Joko Beck is one of the most popular Zen teachers currently teaching in the West. This beautifully written book is a Zen guide to the problems of daily living, love, relationships, work, fear and suffering. Beck describes how to be in the present and living each moment to the full. There are many good books on Zen, but Joko Beck's books are on the top of my list. The reason is that many of the classics are written by monks and teachers in a monastic setting, while Joko Beck started her practice at a later age, having first lived a life as the rest of us. Where some books may be perceived as a little distant from every day (western) life, Joko's book is smack in the middle. The book "Everyday Zen" describes the Zen approach to everyday problems like feelings, relationships and choices. A very good and recognizable read!